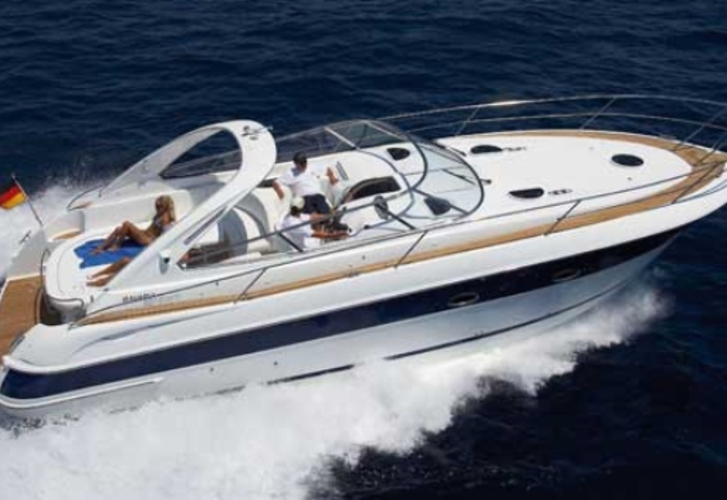 In 2004 has been manufactured yacht Bavaria 37 Sport called Sun Light. This vessel is based in harbor Corfu in the region: Ionian Sea in Greece. You can board up to 4 persons on the sailing boat Sun Light. Configuration of sleeping places is 4. There are 2 bedrooms situated under she's deck. Sun Light has 1 toilettes with showers. Click for other boats in section: Motorboats Ionian Sea. Tank for fuel is 760.00 l liters capacious , water tank has up to 250.00 l liters. In this sailing boat there is motor 620 hp. With 11.95 m of lenght and 4.03 m of beam Sun Light provides enough space for comfortable sailing. Nonrefundable caution accounts for 0.00 EUR. You can search different boats by moving to this section: Motorboats Corfu.